Aakash jewels, a part of the Aakash Group, is a premier manufacturer and exporter of studded jewelry. Aakash Group has been in the Diamonds and Jewelry industry for more than a decade, serving customers around the globe. You are sure to find the one you are looking for from our large collection of finest semi mounts. Available in Gold (14k, 18k, yellow, white, two tone) and platinum. 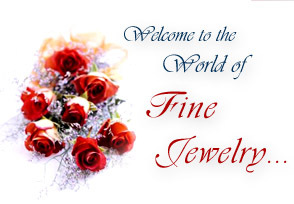 We have a wonderful and large combination of all different types of wedding bands. Available in white gold, yellow gold and platinum. Find a perfect match from our fabulous collection of magnificent bridal sets in yellow gold, white gold and platinum. Choose from a range of tennis bracelets with impressive designs. Available in white gold and yellow gold. Make a choice from our carefully selected magnificent necklaces in white and yellow gold. Browse our marvelous selection of pendants and sliders. Available in 14k and 18k white and yellow gold. Select from our collection of beautiful earrings, including stud, huggies, drops and invisible settings. Available in 14k and 18k white and yellow gold. © All Rights Reserved by Aakash Jewels INC.